The ads are working now, but what about in November? WASHINGTON (July 22) -- Judging from their campaign ads, Democrats all over are running against health maintenance organizations (HMOs) this year. 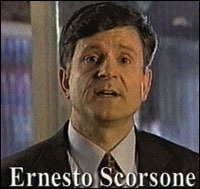 In Kentucky, Democrat Ernesto Scorsone used a tough, anti-insurance company ad in his primary campaign. "I've seen how insurance companies are ripping people off and I've been fighting to stop that," Scorsone said in the ad. "You should be able to choose your own doctor, and never be denied necessary care ..."
Pushing for a "Patients' Bill of Rights" helped Scorsone win his House primary in Kentucky's 6th congressional District in late May. Others hope to do the same. 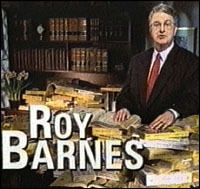 In Georgia, Roy Barnes, a Democratic candidate for governor, ran an HMO ad that said, "There are more than 15,000 doctors in the Georgia Yellow Pages but if you're a member of an HMO or some managed health care plan, some bureaucrat looking for higher profit chooses your doctor for you." Barnes' ad could become a political classic on the strength of one line: "If you can choose who changes the oil in your car, you should be able to choose who delivers your baby." Barnes was the top vote-getter in this week's Georgia gubernatorial primary. Minnesota Democrat Mark Dayton is hammering HMOs, and using ridicule as a weapon. One of Dayton's ads declares, "In Minnesota, HMOs have become HNOs. Choose your own doctor. No. Newest medicine? No. Advanced treatment? No." 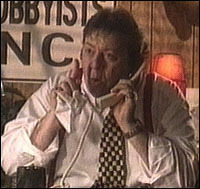 Another Dayton ad features a fictional, perspiring HMO lobbyist, talking to his boss on the phone. "What if you did what Dayton wants?" he asks. "Give people the health care they need?" When he hears yelling through the phone, the lobbyist replies, "Just kidding, sir. Just kidding." The issue has enough bite that Republicans are pushing their own versions of a patients' bill of rights to compete with Democratic proposals. 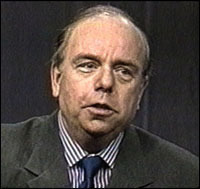 "Imitation is the sincerest form of confirmation," said Democratic media consultant Bob Shrum. "When your opponents start saying, 'Well, we have something here, too,' I suspect you know you're on the right track." On Chicago's north side, Democrat Jan Schakowsky hit on too-quick releases from hospitals in her HMO ad. Said the ad: "Having a mastectomy was bad enough ... Ann Vaughn's insurance company forced her to leave the hospital the same day she had her mastectomy." Schakowsky won nomination in Illinois' solidly Democratic 9th district. And in another Democratic district in Massachusetts, Chris Gabrieli ran an ad that says, "Imagine, your doctors want to recommend a treatment, but to save money your HMO won't even allow them to tell you about it. It's called the gag rule, and Chris Gabrieli says it's wrong." 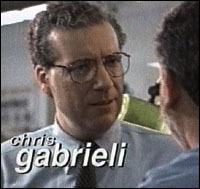 Gabrieli also runs a 10-second ad that says, "Think about it. We pay HMOs and insurance companies to protect us. Chris Gabrieli says they're not doing a good enough job. Wants a patients bill of rights. Check him out." But will these ads work against Republicans? One Republican media consultant says no. "Republicans think you ought to be able to choose your own doctor, too," said Alex Castellanos. "The Democrats think that somebody, a Washington bureaucrat choosing your doctor, is somehow better than an insurance company bureaucrat choosing your doctor. That's a huge mistake." The Democrats' anti-HMO commercials are being closely watched on Capitol Hill, where a potent campaign ad can influence more legislation than a whole platoon of lobbyists.